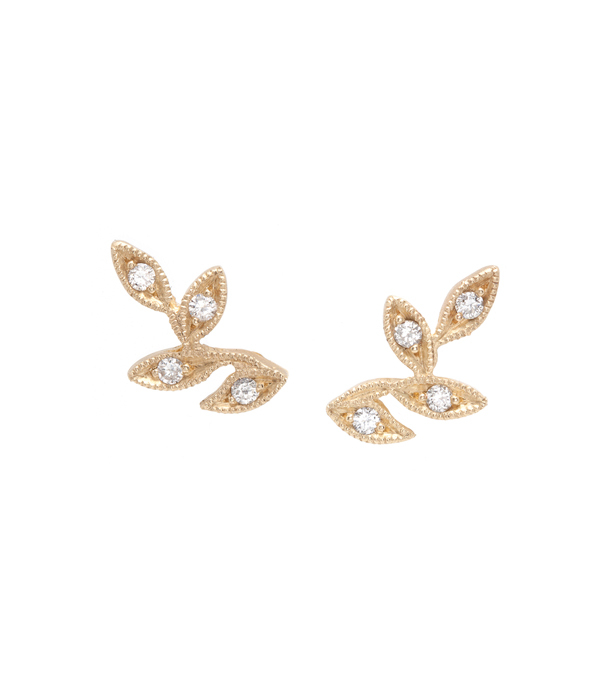 Whimsical and wild, we love how these leafy 14K gold ear climbers grace the lobes with their sparkle and texture. Accented with diamonds, (0.10ctw), they are a perfectly stylish way to bring the splendor of the outdoors with you everywhere you go! What an exceptional gift inspired by nature’s brilliance. For the bohemian beauty who never settles when it comes to accessorizing.